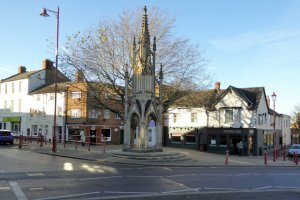 People in Daventry town are being encouraged to suggest possible names for a proposed new unitary council covering West Northamptonshire. 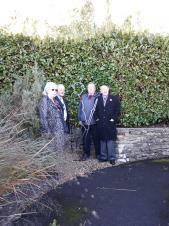 From 1st November 2018, members of the public will be able to view the handmade Poppy Waterfall, assembled by Daventry Town Council, and displayed in the Holy Cross Church in Daventry. 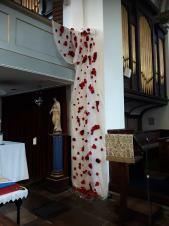 Daventry Town Council launched a community initiative in April this year requesting hundreds of handmade poppies in order to create a beautiful visual display in the Holy Cross Church. 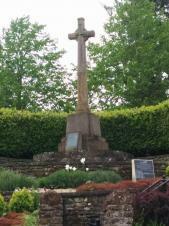 The 6ft aluminium figure stands next to the town's War Memorial, off Abbey Street, to mark the centenary of the historic Armistice of 11 November 1918, which ended four years of fighting. 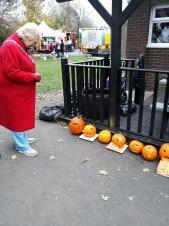 On Thursday 25th October 2018, Daventry Town Council took part in the community day of action on The Grange in Daventry, along with other organisations including Northamptonshire Fire and Rescue, Northamptonshire Police, Daventry District Council and other community organisations. 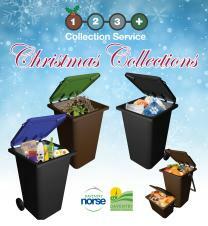 Daventry District Council (DDC) has today confirmed the waste and recycling collections over Christmas and New Year for Daventry town. The Remembrance Day Parade and Service will be held in Daventry on Sunday 11th November 2018, hosted by Daventry Town Council in partnership with The Royal British Legion. Sean Croke, DTC Ranger, commenced the position in May 2018 and has, so far, made a lasting impression on the residents and businesses of Daventry town. 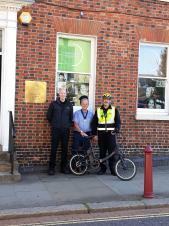 DTC, in partnership with New Age Training and Recruitment, have purchased an electric bike from Daventry business Leisure Lakes, which will assist the DTC Ranger in attending reported incidents quickly and efficiently, rather than on foot. 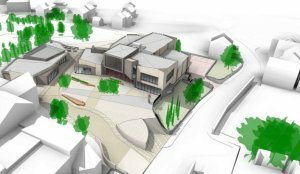 Daventry District Council (DDC) has, this week, unveiled plans to build a new cinema with restaurants in Daventry Town centre by 2020. DDC have advised that they will be progressing the new Mulberry Place cinema development on land north of High Street and are inviting residents to have their say on the proposals during a public consultation later this month. 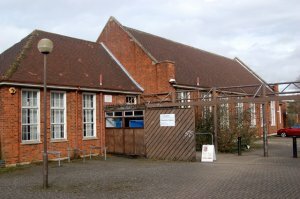 Northamptonshire County Council (NCC) wants to know the views of Daventry town residents regarding the proposed relocation from the current library building, to the Abbey Advice and Resource Centre (The Abbey Centre). Daventry Library currently occupies a former school building in the town centre which is owned by Daventry District Council (DDC). 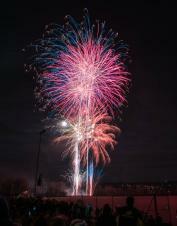 Daventry Town Council will again be holding their fantastic fireworks display in Daventry town on Saturday 3rd November 2018 for the eighth consecutive year. XHTML 1.0 validated. WCAG compliant. Page generated in 0.0991 seconds.